So much business transpires at Starbucks in South Korea, they refer to it as the “coffice“. Around here we refer to it as “Fourbucks”. It is interesting how many portmanteaus have entered the lexicon. We all know the more common ones like “brunch” (breakfast + lunch) or “spork” (spoon +fork). Then there are the famous celebrity pairings like “Brangelina” (Brad Pitt and Angelina Jolie), and “Billary” (Bill and Hillary Clinton). Finally, many terms in technology are words that have been irreversably bolted together. “Emoticon” (emotions + icon), “Digerati” (digital + literati) and finally, the word “blog” which is the happy marriage between “web” and “log”. 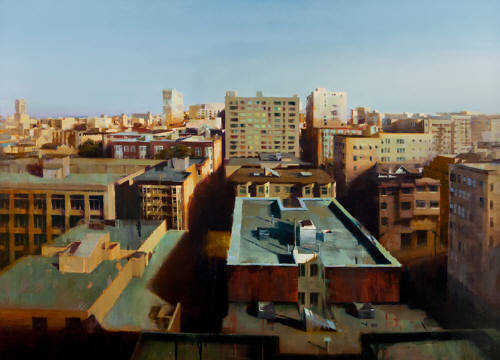 Today’s featured artist, Kim Cogan, heralds from Korea. In this case, blending centers around paint rather than words. Great Work! Can’t wait for the show! Love the work! 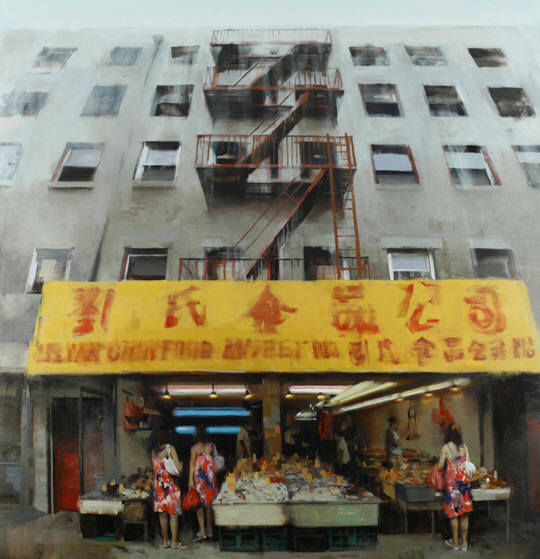 Kim is one of my favorite painters – he’s got that thundering underground feel & appeal and yet is as well painted if not better then most showing in NYC’s Chelsea Art District. His next solo show on the Eastside is coming! see you September 22, 2011 from 6-8pm @ G A L L E R Y H E N O C H.
Thanks for covering him Betsy & Mixmaster!